Lookout report: Mobile Malware increased by 75% in U.S. Mobile hacking and stealing has become one of the most commonly committed crimes, with some of the most common types of mobile threats that have dominated the smartphone sphere being Malwares, Chargewares and Adwares. 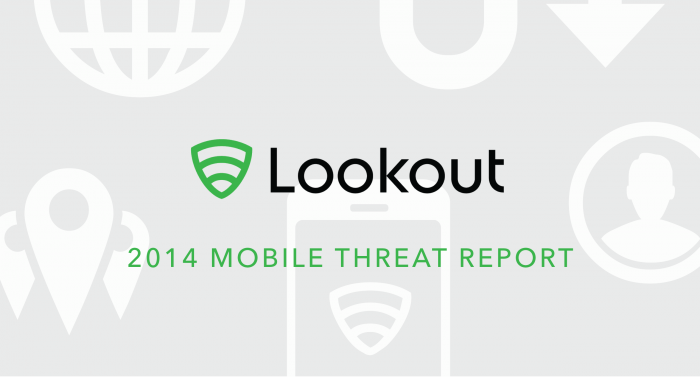 Folks from Lookout, one of the most downloaded antivirus app for mobile have aggregated a Mobile threat report for 2014 showing the trends of new mobile threat tactics like ransomware. Mobile malware grew substantially 2014, as the U.S. saw a 75% increase in mobile malware encounter rates compared to 2013. “Ransomware” became a top threat in 2014, as more than 4 million U.S. Android users were forced to pay anywhere from $300 to $500 each to unlock their devices. “Ransomware”, a type of malware that locks users out of their mobile devices in a pay-to-unlock-your-device ploy, grew by leaps and bounds as a threat category in 2014, with ransomware such as ScareMeNot and ScarePakage finishing in the top five most-prevalent mobile threats in countries such as the U.S., U.K., and Germany. I would advise you to take look at the detailed report just to be aware at what kind threats you may encounter and learn how to deal with them. Also, be sure to download the Lookout app since it is one of the best free threat detection app around for mobile devices that you can get to keep your devices and information safe. Hello, My name is Salman Qureshi. I am 17 years old and love cottage cheese. I have a very sweet spot when I see anything related to tech. I spend my whole day usually on my computer doing blogging and stuff. I love watching animes. Creative by nature. Gamer by instinct.